At Finger Lakes Radiology we believe that by delivering premier diagnostic imaging services we are enhancing your view. Our mission is to provide patients and referring physicians with accurate, efficient, and professional radiology services. 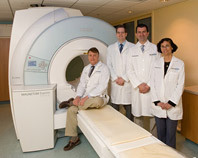 We are a customer driven organization and are dedicated to fulfilling all of your diagnostic imaging needs.